What is Panda on the Radio? 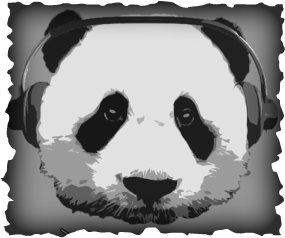 Panda on the Radio is a platform of different medias designed to offer you, in the simplest way possible, suggestions of the best of what we've seen (and what we'll see) regarding alternative and indie rock. Get to know new artists, songs, videos, curiosities and anything else the panda may thinks it's kinda cool. Sign up here and receive every two weeks, right in your inbox, the best of what was published in our medias during the period.